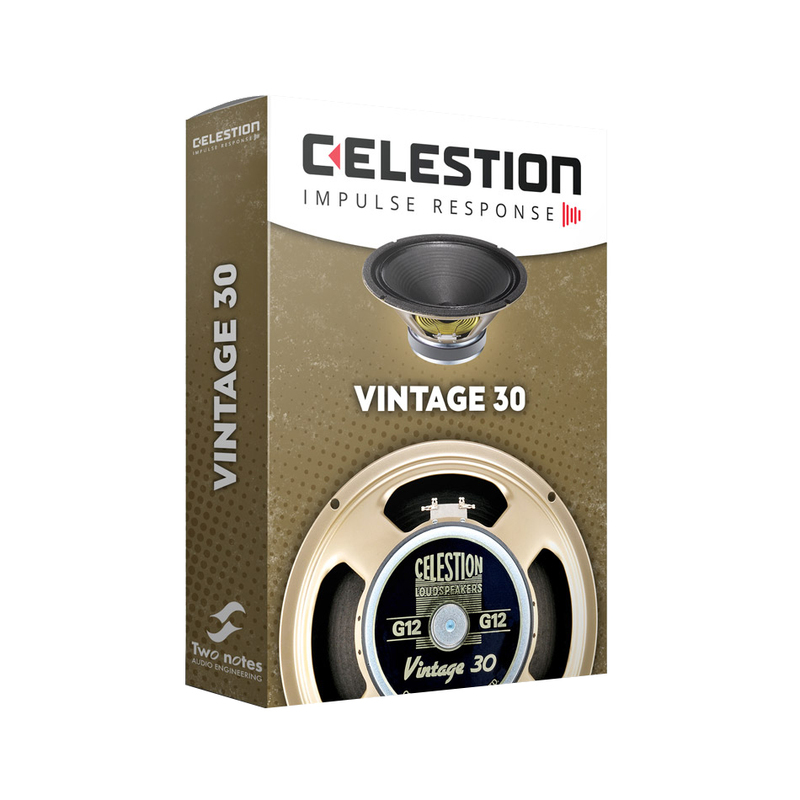 Introduced in the mid-80s, the Vintage 30 was designed to articulate the complex harmonic distortion that Celestion guitar speakers were renowned for, with the capability to handle increasingly high amplifier outputs. Heard on some of the world’s best-selling rock albums, the Vintage 30 continues to be the first choice speaker for many guitar players of all styles. With its inspirational and familiar tone, expect an intricate blend of tight bass, weighty midrange and a rich harmonic top end sitting “just right” in the mix. 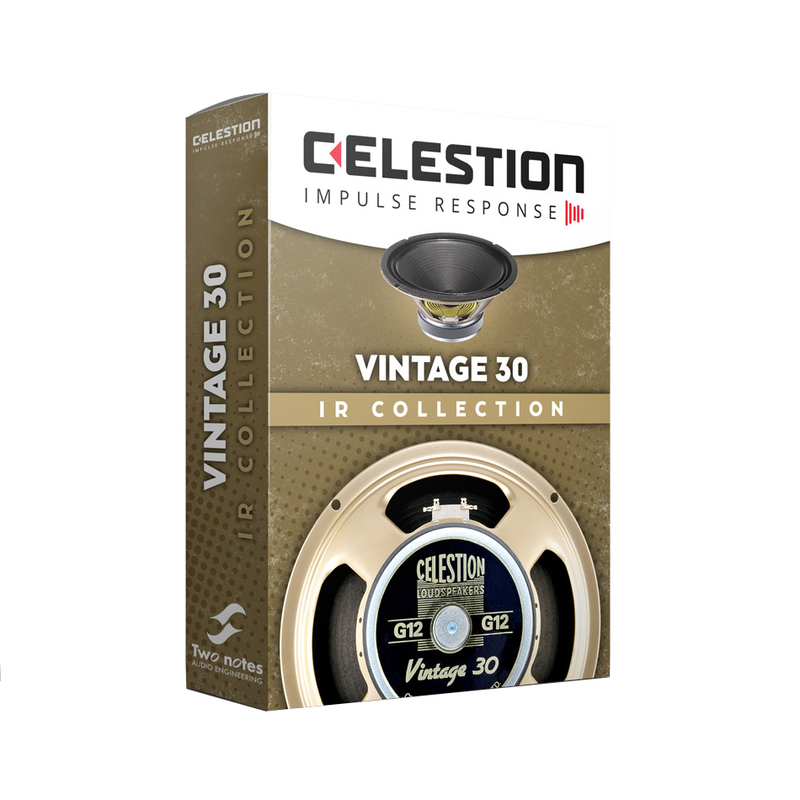 If you need help redeeming/downloading your new Celestion Two notes IRs please follow this guide. Please note Two note products are not available as part of the IR Pick & Mix and will only work in the Wall of Sound and in no other software because of the proprietary format.